Joseph Camillo was involved in an ATV accident in June 2017. The accident left Joseph with a fractured tibia that needed to be operated on and he also sustained two fractured vertebra in his low back. After having the surgery on his tibia Joseph had to go through physical therapy to learn how to walk again. Even after physical therapy, Joseph dealt with severe low back pain and exhaustion. After Joseph’s care here at Harcourt Chiropractic, he feels more energized and is left with positive feelings! Joseph is very pleased with Dr. Harcourt’s care and plans to continue with maintenance care. David dealt with low back pain for about 25 years before coming to Dr. Gary Harcourt. For years, his friends and family suggested he see a chiropractor but he never did because he thought he would get “twisted like a pretzel,” ending up in even more pain. David always had back pain, although he previously tried rehab because he was fearful his lifelong pain would lead to surgery. Within the first week of treatment with Dr. Gary he was already noticing improvements and after five months David achieved a 95% improvement! David suggests to anyone that has back pain to come see Dr. Gary. You won’t leave Harcourt in worse shape and you won’t get twisted like a pretzel! Melody had been trying to lose weight for many of years. She tried different weight loss programs and none of them worked, so she was shocked when she lost weight the very first day on ChiroThin! After six weeks she was down to the goal she set for herself. Melody is now healthier, happier, and able to be more physically active without the joint pains she used to experience. Anthony struggled with his weight all of his life and became concerned that not losing the weight would lead to diabetes and high cholesterol. When he realized that he couldn’t lose the weight on his own he tried our Doctor Supervised ChiroThin weight loss program. Since completing the ChiroThin program, Anthony feels more energized, which makes doing his job a lot easier. Anthony says, “Don’t hesitate. ChiroThin is definitely the way to go. It’s so easy.” Anthony lost 37 pounds in just 6 weeks! Johnny Watkins was in a car accident resulting in neck pain, back pain, and headaches. Being a previous patient at our office, he immediately knew who to call! After the car accident, Johnny lost his energy and the ability to enjoy every day life activities. Now he is able to go back to work and enjoy his life again. He feels happy with his treatment here and wants to tell anyone in pain that no matter how big or small the problem may be,chiropractic care can help – it just takes time and patience. Renee is a nurse and a fitness instructor who recently came to Dr. Gary for low back pain, which she dealt with for almost a year. At first, she thought the problem was her—maybe she was lifting too much or exercising too much. However, the pain continued to wake her up at night and nothing she was doing helped. She didn’t understand why she was having the pain and became scared that she wouldn’t be able to continue doing the athletic activities that are her passion. Through a series of planned treatments, Dr. Gary re-aligned her back and hips and relaxed the surrounding muscles. Renee can now do all the things she loves again—pain free! She is confident that through preventative care, she saved herself from surgery. Renee highly recommends Dr. Gary’s care because really cares and listens to his patients. Adriane was in a snowboarding accident, which left her unable to do the things she loves—including her livelihood: competitive wakesurfing. Through comprehensive chiropractic care, Adriane is able to do more than compete at her best ability. She is able to keep up with the active lifestyle she enjoys. Chiropractic care is about more than adjustments; it’s about helping you live the healthy, comfortable lifestyle you deserve. Kevin started ChiroThin when going to the gym wasn’t enough to lose weight. Kevin plays volleyball team with teammates 10 to 15 years younger than him and extra weight was making it harder for him to keep up. Kevin knew, if he didn’t taken action about his weight soon, his career in volleyball would get cut short and he wasn’t ready for that. Kevin has tried other programs where the weight would come off while he was on the program and as soon as the program was over the weight would come right back. Since Kevin has been on ChiroThin, he has noticed that his legs aren’t as sore, he feels faster on the court, and he feels better both physically and emotionally! ChiroThin has helped Kevin learn how to eat right without feeling like he was starving during the program. Kevin started ChiroThin at 236 pounds and is now 212 pounds, which is a total of 24 pounds lost! Cheryl’s concussion following an injury left her with symptoms that wouldn’t go away. Vertigo, pain from her mid-back to her neck, and limited range of motion in her neck limited her quality of life. It was a struggle to even work and Cheryl couldn’t do the things she loved. Medications only made the symptoms worse. The struggle left Cheryl emotionally drained. After four weeks of treatment, her symptoms started to subside. Now, Cheryl is 100% better, feeling like a new person and is beyond grateful to have her life back. John came to Harcourt Chiropractic Office because of his low back pain that was starting to cause numbness down his right leg. After undergoing treatment, John is now able to come in only periodically for check-ups. He is very pleased with all of the care he has received. Kathy was feeling tired, lazy, and hopeless about losing weight. She was finding that getting in and out of bed was becoming more difficult. She tried Weight Watchers many times. She has tried acupuncture. She even has a collection of diet books. To Kathy, the ChiroThin weight loss program has been a blessing and the easiest thing she has ever done! The program has been very educational—not only did she learn how to eat right, but she has had great support and encouragement from Dr. Gary Harcourt. Kathy says she feels 100% better physically and emotionally about herself. Kathy went from a size 14 to a size 8 and has lost a total of 25 pounds! Kathy would recommend ChiroThin to anyone trying to lose weight! Low back and sciatic nerve pain was keeping Eddie up at night. It also kept him from enjoying the things he loves to do. After receiving care at Harcourt Chiropractic Office, Eddie is one hundred percent better than when he started. He can enjoy being healthier and spending time with his kids. Chiropractic care was something that he put off for way too long! When Maddie initially came in, she was immobilized from a car accident two years prior! It was hard for her to even sleep at night. It was certainly not the quality of life that a sixteen-year-old should be having. After her first adjustment, Maddie realized just how much pain she had dealt with because she now knew how her back was supposed to feel. Maddie considers Dr. Gary’s chiropractic care to be a lifesaver because her treatments completely corrected her injuries! Dr. Gary continued to help Maddie after a second car accident. Once again, Maddie graduated from care with 100% improvement! She is looking forward to being able to help move into a new place. She always appreciates the comforting family atmosphere she always experiences when she come here. Chelsea had seen three other chiropractors for pain from a car accident in 2005 before she came in to see Dr. Gary Harcourt. Some days she couldn’t get out of bed on her own. She couldn’t go out with her friends. At one point, she was even hospitalized due to the pain. The other chiropractors Chelsea had seen would help her pain for a week or two and then the pain would come right back. What made Dr. Gary different from the other chiropractors she has seen the use of a personalized care plan. Since being under Dr. Gary’s care, Chelsea is 98% better! Bill suffered from a right elbow injury, called Tennis Elbow, for six months before a friend recommended he see Dr. Gary Harcourt. He was experiencing daily pain at a level of 6-8 on a scale of 0-10. Although Bill was reluctant about seeing a chiropractor for the first time in his life, he decided to give it a try. He initially feared that nothing could be done for his pain, but after 4-5 months of various treatments by Dr. Gary, he was finally pain free! It was such a relief for him to avoid surgery and he is very happy with his results from care. He felt very welcomed and comfortable during his time at Harcourt Chiropractic Office. Before Ellen came into the office, she had been dealing with back pain from a work injury for three years. At the time of the injury, she did receive some chiropractic treatment that helped some. Ellen just assumed that she would have to deal with low back pain indefinitely. After receiving care here, Ellen’s back is 85% improved! She is better able to spend time with her family, play with kids, and keep up with a more active lifestyle. She is even able to sleep more soundly. Chiropractic care has helped Ellen’s body work the best that it can and it can do the same for you! Patty was unhappy with her weight. After menopause, it became difficult to lose the five to ten pounds that she wanted to. After completing the 9-Day ChiroThin Experience, Patty lost 4.8 pounds and 5.2 inches! She even continued to lose weight after completing the program—a total of 9.2 pounds! Patty contributes the program’s success to the fact that it was easy to follow and it made her more conscious about her eating habits. Steven was in a car accident, but he didn’t experience pain right away. Then, out of nowhere, he began to experience sharp pain everywhere that kept him from doing sports he loved. On a scale of 0 to 10, his pain was a 9. Steven thought he was going to have to live with that pain. Thanks to the care he received, Steven now has no pain at all! He is able to work out and do sports and is looking forward to running a mile for track. Without pain, Steven can follow his dream of becoming a football player. It means a lot to him that this office was RECOMMENDED to him and that the staff does everything they can to help patients improve. Weight had been a lifelong struggle for Sue. She had tried seemingly everything including Weight Watchers but always reached a plateau. Her weight began to cause health problems and to keep her from doing everything she wanted to do. Sue knew she needed to lose weight in order to have the life that she wanted. Through a diligent effort on the ChiroThin Weight Loss Program, Sue lost just over 70 pounds! Sue is elated with her results—even simple tasks around the house have become easier to do! Sue would recommend the program to anyone because it provided her with the structure she needed and the flexibility to eat a variety of foods. She also greatly appreciates the friendly and supportive staff at the office and looks forward to furthering her results! Theresa was one of our very first ChiroThin patients here at Harcourt Chiropractic office. She wanted to lose weight for her daughter’s wedding and then when she lost the weight she wanted to for the wedding, Theresa decided she wanted to lose even more weight. Theresa says it’s the easiest weight loss program, you don’t have to exercise on the program, and you aren’t starving either! Not only has ChiroThin helped Theresa lose weight but it has also helped her feel more happy and confident with herself. Theresa lost a total of 47 pounds and 37 ¼ total inches! Congratulations!! Brian spent months researching and testing different diets and exercises in attempts to lose a few pounds and create a healthier lifestyle. After strict dieting and intense exercise routines with no success, Brian decided to fully commit to ChiroThin to lose stubborn weight and was pleasantly surprised with his results. Brian exceeded his expectations and lost 22.5 pounds and 16 inches. He is looking forward to vacationing with his family this summer without the overwhelming feeling of being uncomfortable in his own skin. Karahs low back pain and shoulder pain wasn’t severe. Once she started receiving treatment at Harcourt Chiropractic, she realized just how much pain she had pushed through. After graduating from care with a 90% improvement, Karah would recommend chiropractic care to anyone because it has helped her even more than she thought it could. For Ellen, eating healthy and exercising was a struggle. It was causing her to gain weight and to not feel confident about herself. Ellen knew that the key to becoming the healthy person she wanted to be was changing her eating habits. After completing the ChiroThin Weight Loss program, not only is Ellen almost 20 pounds lighter, she is also more confident and has made taking care of herself a priority. Ellen is grateful for how life-changing ChiroThin was and looks forward to being healthy for years to come—not to mention feeling confident in her wedding dress. Lamar was in a car accident and suffered from limited mobility in his neck and back. He typically works out on a regular basis and was unable to do that due to pain. Now he is 100% out of pain and feeling good again. He recommends others try chiropractic. Katie was involved in a work related automobile accident. She had severe left elbow, hip, low back, and neck pain.Had been seeing other practitioners yet was still in severe pain. She had extreme difficulty sitting or standing. She was just not functioning well at all. She is feeling a lot better. Can do her activities of daily living with little difficulty now. She requires surgery on her elbow and was referred for that procedure to relieve the residual elbow pain. She is pleased with her care at Harcourt Chiropractic Office in York. Donna came to our office because of injuries from an automobile accident. She was skeptical but listened to her daughter who encouraged her to give it a try.She could barely get off the floor because she was in so much pain. She is very grateful she came in.She sustained a work injury next and hurt her low back. She later injured her knee while working at a day care and again came in for ultrasound treatment and pool therapy.She had a second automobile accident and this time sustained upper back and neck injuries. With treatment she recovered 100%.She suggests if you have any kind of pain, go to Harcourt Chiropractic Office and let Dr. Gary Harcourt evaluate your situation to see if chiropractic is a solution. DJ was involved in an automobile accident and suffered from daily neck and shoulder pain which was intolerable. Was difficult to pick up his children or do house chores. Had limited mobility which made things challenging.Now he has no weight restrictions. He graduated from care at 99%improvement. Feeling great again!! He has seen other chiropractors over the past 20 years. Dr Gary does a lot of detailed testing to measure progress to achieve results in a shorter period of time. Jimmy was in an car accident. He has severe back pain, jaw pain and pretty much everything hurt. He just wanted to lay down all day. Now he's feeling good. He had a 98% recovery. He says others should try Harcourt Chiropractic Office. Appreciates the doctor and staff here. Jim had intense low back pain. His friend referred him to us after seeing how much pain he was in. He tried medication but it didn't relieve it. He thought the pain would "just go away". Now he's "on top of the world", he feels good. He can do what he likes to do again. He thanked his friend by surprising him with a pizza to show his appreciation. He had a great experience at Harcourt Chiropractic Office in York Pa. "I couldn't be any happier". Bill had a lot of neck, shoulder and low back pain. Wasn't able to enjoy normal activities any more. He had had injections and medical care yet it never really resolved his issues. 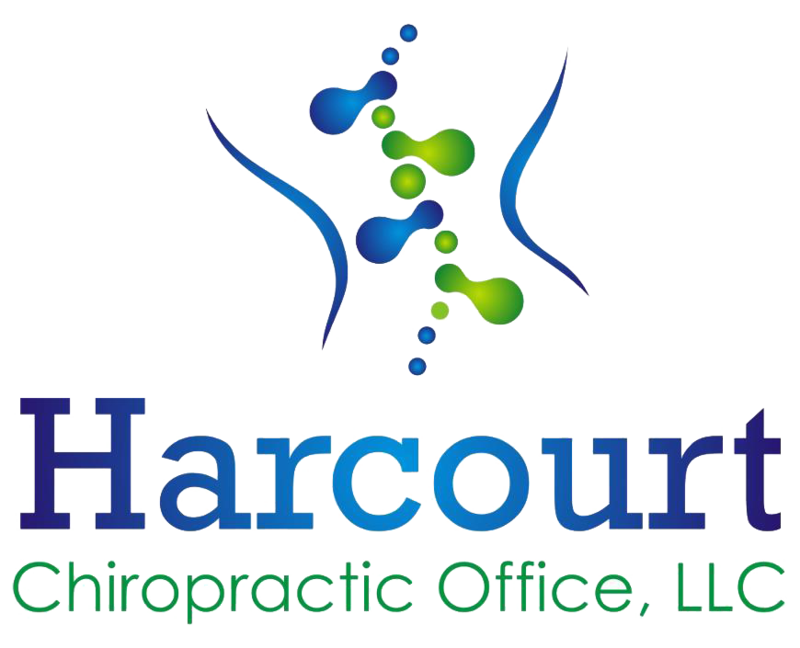 He found it interesting and really liked the detailed evaluation done at Harcourt Chiropractic Office. It's easier to enjoy doing the things he likes to do with periodic adjustments. He says give it a try. Josh had constant back pain and stiffness in his low back. He was restricted in ways that prevented him from enjoying the things he loved to do such as golfing, other sports and simply picking things up. He had previous back surgery which helped yet didn't give him the motion and relief he was looking for. He saw medical doctors who prescribed medicine yet it really didn't help. He now has very little pain and pretty much back to normal. He says it's really worth giving it a shot. Matt had right leg pain and low back tightness. He was skeptical of going to a chiropractor but wanted to avoid taking medication so he decided to give it a try. All his pain went away and he feels good! He comes in monthly to keep himself feeling great. He suggests if you have any kind of pain to go to Harcourt Chiropractic Office and let Dr. Gary Harcourt evaluate your situation to see if chiropractic is a solution for you. George initially injured his knee when he first came in for treatment. He recovered and a few years later injured his shoulder. He was told he'd need surgery but he didn't want to have surgery if he could avoid it. We did a special taping procedure and therapy and he had a 100% recovery. NO SURGERY!! He comes in monthly now to maximize his health and to stay feeling great. He suggests if you have any kind of pain to go to Harcourt Chiropractic Office and let Dr. Gary Harcourt evaluate your situation to see if chiropractic is a solution for you. Back and hip pain. Needed hip surgery which went well. Maintenance care helps. Didn't know much about chiropractic. Now feels most people could benefit from this type of care. He comes in monthly now to maximize his health and to stay feeling great. He suggests if you have any kind of pain to go to Harcourt Chiropractic Office and let Dr. Gary Harcourt evaluate your situation to see if chiropractic is a solution for you. Low back and sciatic pain, neck pain and restriction, Acid reflux resolved!! Is off her medication completely. Many people are unaware chiropractic can help these types of problems. By all means try chiropractic before getting surgery. Give them a chance to help you. If you have any problem you think you need medication for, check with the chiropractor first!! Before she came to the office she had seen other doctors but she wasn't getting relief. She was injured at home. She walked in dragging her feet when she came into the office and walked out walking straight. She can now lift with no pain. Maintenance care has been very helpful. Stephanie had a lot of back pain for years. It was difficult to do activities without pain. She was always in some kind of pain. Never considered chiropractic but gave it a try. Feels good after every session. Has seen good changes over time! Posture is better, inspired her to make other healthier changes in her life. Give it a try! Melissa had shoulder and back pain and is now feeling great. Was having difficulty doing household chores. She's looking forward to gardening and doing other things she enjoys without pain. She found that the treatments were not painful and there was no reason to be fearful of getting treatment. She had a good experience. Appreciated the doctor and staff. She would recommend Harcourt Chiropractic office to anyone. Lisa was having difficulty walking, functioning, sleeping, couldn't run, was difficult to sit or stand. Her pain in the shoulder was a 9 - 10 and the low back a 10 + on a scale of 0 - 10. Now she can live again without pain. If she ever has problems in the future she knows where to come for help. She was pleasantly surprised with the treatments. She'd recommend Harcourt Chiropractic Office to any of her patients, friends or family members dealing with pain. Carmelita came in with pain and numbness in her arm and had difficulty sleeping . She had a lot of pain while working and at night while trying to sleep. She had a constant pain rated at a 7 - 8 on a scale of 0 - 10. She has no significant symptoms now. She graduated care with a 93% functional improvement. She is a true believer.